In September’s newsletter we talked about how the right propeller selection can ensure success on those annual fishing trips. This month, things are “looking up” with a brief discussion about the rotors that provide lift and direction to helicopters. With our head office in the coastal city of Vancouver, we often see helicopters heading toward the coastal mountains or vast forests. They’re used routinely by coast guards and other search and rescue teams , including the fire-fighters who battled the forest fires that plagued us this past summer in the BC interior. 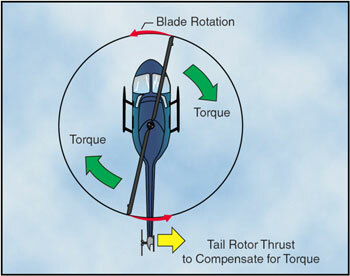 Most helicopters use two types of rotors. The main rotor, located on top of the helicopter, is used to provide lift and thrust to navigate the aircraft. The secondary rotor is located on the tail. It supplements the thrust, but its primary function is to provide stability and control directionality. Just as with an industrial mixer, the design engineer factors in the engine size and operating environment in determining the optimal rotor size and configuration.